Nvidia announces new developer platform and AI computer designed for robotics. 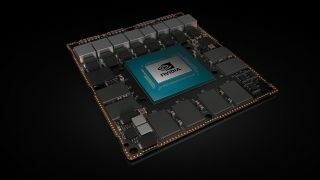 During Computex 2018 in Taipei, Taiwan, Nvidia announced Nvidia Isaac, a new developer platform to help power the next generation of autonomous machines as well as Jetson Xavier, an AI computer designed specifically for robotics. Nvidia's Jetson Xavier is the world's first computer designed specifically for robotics and with more than nine billion transistors, it delivers over 30 TOPS (trillion operations per second). Jetson Xavier comes equipped with six different kinds of high performance processors: a Volta Tensor Core GPU, an eight-core ARM64 CPU, dual Nvidia deep learning accelerators, an impage processor, a vision processor and a video processor. These processors allow for dozens of algorithms to be processed concurrently and in real time for sensor processing, odometry, localisation, and mapping, vision and perception and path planning. The level of performance that Jetson Xavier provides is essential for a robot to take input from sensors, locate itself, perceive its environment, recognise and predict the motion of nearby objects, reason about what action to perform and articulate itself safely. The Nvidia Jetson Xavier developer kit, which includes the Issac robotics software, will be available in early access starting in August and will retail at $1,299.